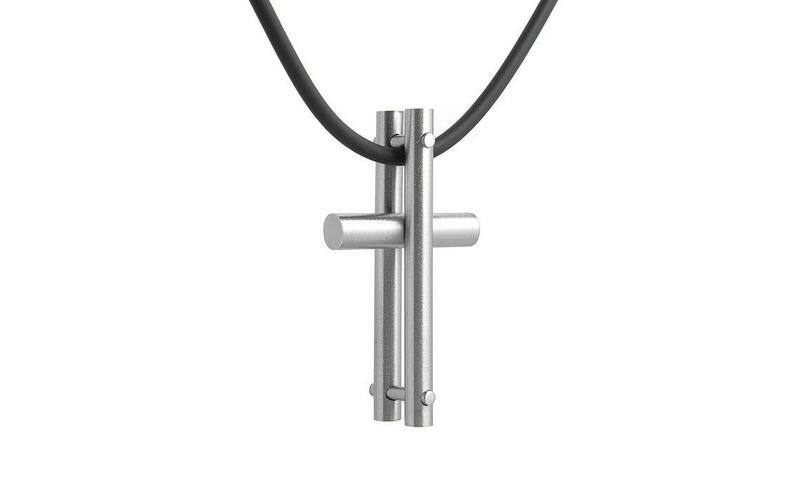 Modernist Trendy Brushed & High polished Stainless Steel Men's Cross necklace with 2mm Black Rubber. 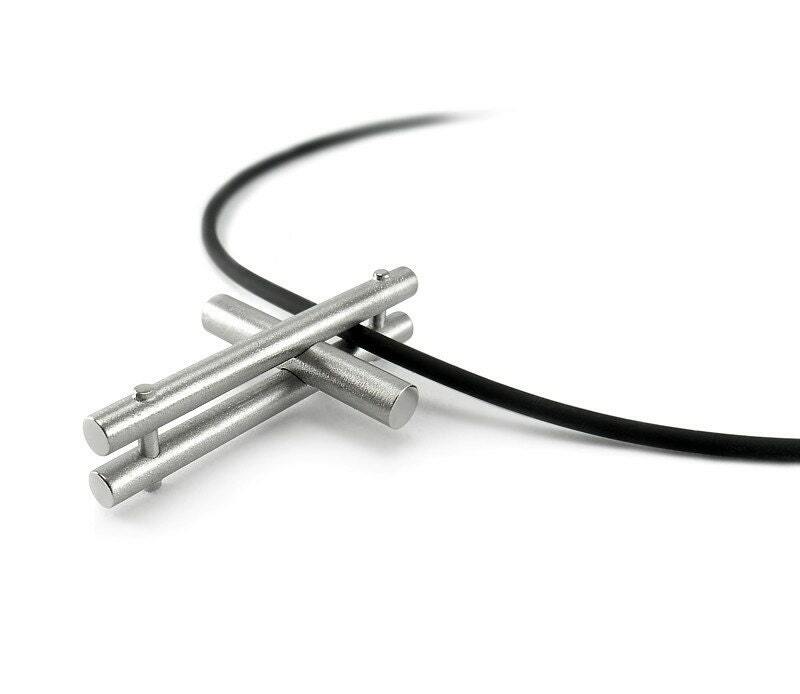 This exclusive Cross Design doesn't contain any soldering material, the parts are locked together just by tension and compression of the metal itself. Length available from: 14" to 30"
This Ring is MADE TO ORDER,Please indicate Length in the "message to Seller" during checkout - Will ship in 7 to 10 Business days with Free USPS Priority mail. Absolutely loved the necklace! Great quality! Fast shipping time! I LOVE IT! Gave it to my son for a gift, he hasn't taken it off. Such a wonderful transaction. Thank you.